Every school that we have serviced has been surprised with what we offer. 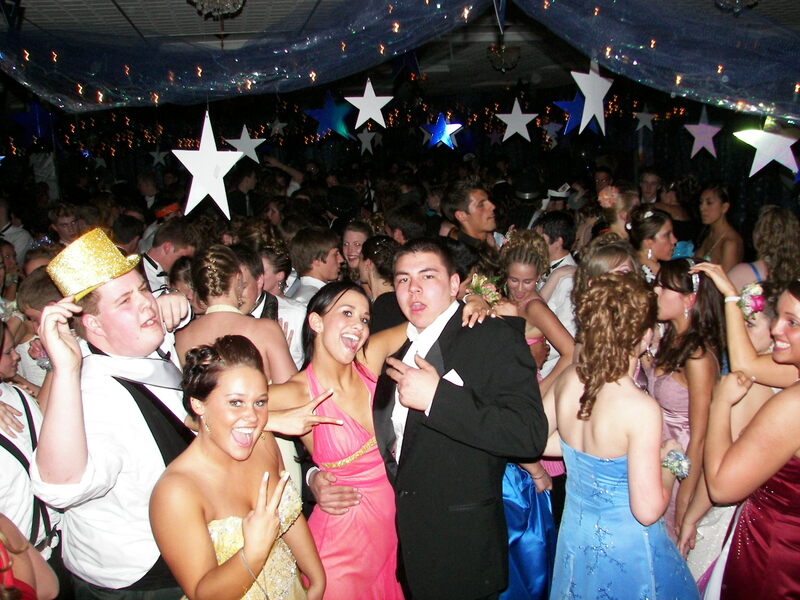 Forget the stereotypical boring school dance DJ! When we come to your school, we bring a party! We are one the top School Dance DJ service companies in the industry. Whether it’s a prom or homecoming dance, we are the team for you! Our experience in a variety of events including festivals, radio, and concerts help us bring the funnest experience to your school. We have a huge up-to date collection of the very best “Clean” music, and we guarantee to work with all school officials and chaperones making sure school policies are followed . Our music library and sound system lets your Students have a wonderful and memorable experience at their school dance, while making sure they follow the rules. Our music library gets updated weekly so that we have the newest and most popular songs in all genres. While we only use radio-edited material, some of it is still not suitable for students that in elementary or middle school. We never play these requests (and they do ask for them). However we will play them for high school events unless we are instructed not to.